but a tool for learning? to do with a school? The Gaudium School has been named as one of Asia’s Greatest Brands and Ms. Kirthi Reddy, Director as one of Asia’s Greatest Leaders. The Gaudium School has been featured in Forbes India Marquee 2018 – a special Marquee Edition in association with SkillTree Knowledge Consortium and Great Place To Study. The Gaudium School Kollur campus has been named Best Emerging School in Hyderabad by Times School Ranking Survey 2018. The only International School in Hyderabad to have an Adventure Park on campus. 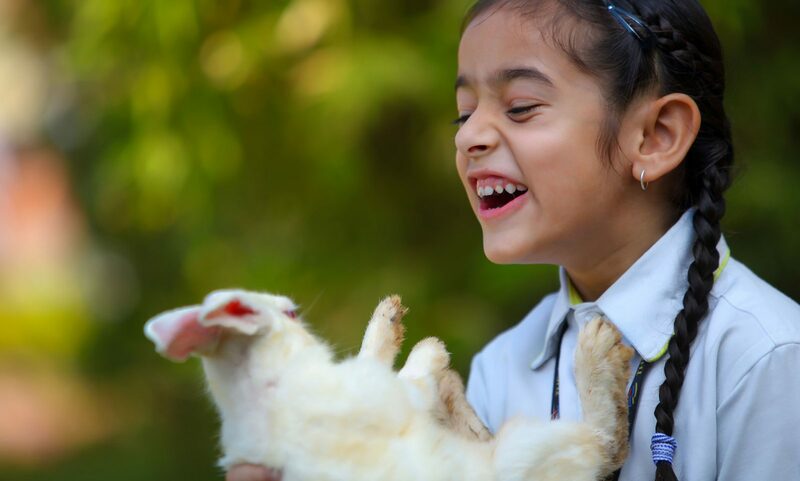 The only International School in Hyderabad to have a Petting Zoo on campus. The only International School in Hyderabad to have an Interactive Science Park. The teachers at The Gaudium understand the need to develop the gross motor, psychomotor and fine motor skills in pre-schoolers. They encourage children to interact with peers. They are taught to express themselves through play and communication. This is a feature no other international school in Hyderabad offers. Our Primary School curriculum relies on IB-PYP (Primary Years Program). The curriculum framework is ideal for developing skills. It also helps in understanding of English, Mathematics, Science and Social Science. Our Middle School Program offers both CBSE & IGCSE curriculum and focuses on the development of knowledge and skills. The focus is in the core subject areas of Science, Mathematics and English. It is also complemented by Languages, Humanities and Arts. The Gaudium is IBDP Certified and CBSE Affiliated (Registration No: 3630194) for Grades 11 & 12. Click here to know more of our academic programs. I would like to take this opportunity to appreciate the great efforts put in by the school in not just imparting education, but also moulding their individual personalities. The school day on 7-Jan really showcases your efforts and enthusiasm in ensuring every student was a part of such a great show. Congratulations on pulling it off. I joined my kids(Shriya and Shruti) only this year and in these few months I have already seen a very big change in their attitude towards school, personality and confidence. I am totally convinced that Gaudium is not “just another international school”, but a school that is looking to make a huge impact. 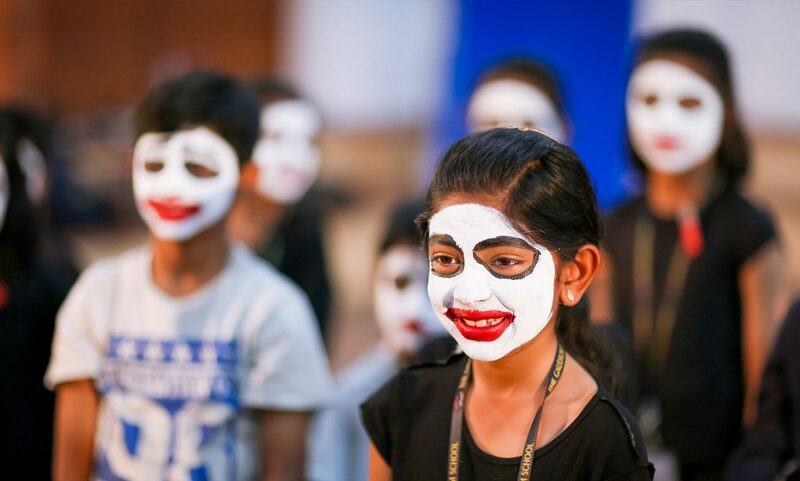 What makes an international school in Hyderabad an international school? The orientation that creates the ability in children to recognize, realize and reciprocate to the others in the environment. It is not just to other human beings but nature as a whole. The concept of a petting zoo might seem like a hobby or a ‘cute’ thing. However it is very important to inculcate in children that they are one with the nature. Read more on the facilities in The Gaudium. Is education merely to impart knowledge? Or should it also show how to apply that knowledge? Why we as parents are just focused on mindless test-scores? Why cannot we move to a more meaningful method of evaluation? Can a child be taught to recognise and create value in everything it does? The Gaudium, an international school in Hyderabad, has been established to answer these and more questions. Know more about The Gaudium here. The Gaudium has the distinction of being the first international school in Hyderabad to introduce STEM. It is a hands-on, integrated learning program popular in the USA, UK and East Asia. Broadly activities can be called as Scholastic and Non-Scholastic Activities. The Gaudium lays equal emphasis on both kinds of activities. Click here to know more about STEM.